Consumers are being duped into believing that mobile call costs are going to plummet once the country’s cellular network operators begin reducing call termination rates, the fees they charge to carry calls on each other’s networks. That’s the view of Jacques du Toit, MD of VoxOrion, a subsidiary of JSE-listed telecommunications group Vox Telecom. “What really grinds me is that consumers are being led to believe that there will be a linear drop in retail rates if interconnect rates drop,” he says. Du Toit points to the example of Namibia, where that country’s telecoms regulator is forcing down interconnect charges in a phased manner over an 18-month period, from N$1,06/minute to N$0,30/minute. They have already been reduced to $0,60. But, says Du Toit, there has no been change in retail rates offered to consumers in Namibia. Incumbent mobile operator MTC’s rates have remained the same, he says. If MTC were to reduce its rates in line with the reduction in interconnect fees, it would affect its ability to invest in network expansion and pay for access to the new West African Cable System that will connect countries along Africa’s western coastline with Europe. “[Independent Democrats leader] Patricia de Lille and [ECN Telecoms] CEO John Holdsworth are positioning themselves as heroes but the reality of the situation is far from what is being spoken about now,” Do Toit says. Both De Lille and Holdsworth have been vocal on the issue, saying interconnect rates need to come down dramatically. 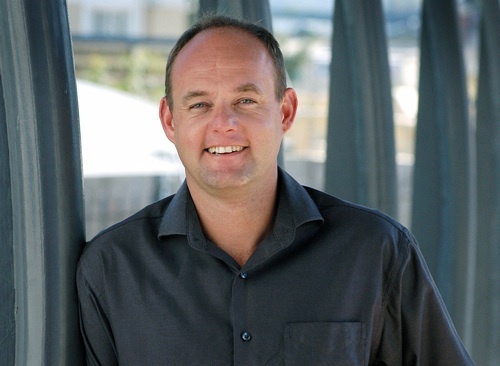 Du Toit feels that a fair rate for interconnect is around 80c/minute, and the rate should be reduced at 5%/year, beginning now, so the mobile operators can find other ways to replace the lost income stream. Interconnect should also be symmetrical, meaning all operators pay the same rate, Du Toit says. Currently, the mobile operators benefit from an asymmetrical interconnect with Telkom. The fixed-line operator pays significantly more to send a call from its network to the networks operated by Vodacom, MTN and Cell C than the mobile providers pay to Telkom for a call routed in the opposite direction. Of course they are Rob, goes without saying. I recall having to model that possibility and LCR operators (who have provided and continue to provide needed alternatives for corporate SA) would do well to prepare themselves for a significant downward trend. A radical drop in rates, as opposed to a “glide path” (can be steep) might be a little more disruptive than is good for Joe Public in the long run. I’m all for disruption. Chaos is another thing. At this stage, it will be bleeding marvellous to see any change, whatever the magnitude! The debate around interconnect fees has been hijacked by populists and ill-informed consumers. The reason high interconnect fees are bad is because they stifle competition through restricting new entrants. Allow more competition and help new entrants, and competition will bring prices down. I’d be happy to pay less for telecoms costs at the cost of less rugby/soccer/cricket/juksei/synchronised-swimming sponsorship! Economic development and growth are more important by miles. “But, says Du Toit, there has no been change in retail rates offered to consumers in Namibia”. Right. The fees were reduced w.e.f. 1st July. Maybe a little early to expect significant changes? Who said that? Not me! Interconnection rates are the floor – lower than which it’s not possible to charge and remain in business. Reduce the floor level, and it becomes possible to reduce prices. No, it would affect its ability to make extreme profits and have to work hard at hiding them so that shareholders don’t get too much. There’s no ‘ability to pay for WACS’ issue – its’ cheaper than Telkom SA is currently gouging them, even including the IRU financing. “If you take this money off, say, Vodacom’s bottom line, don’t you think there will be an impact on rugby sponsorship, or corporate social investment, and so on?” Whoopy doo! That 0.1% will make a huge difference to the economy, won’t it? What was that above about having to hide extreme profits? “so the mobile operators can find other ways to replace the lost income stream.” Why should you or I care? Being a GSM Network Operator is one of the highest margin businesses in this country. They’ve been protected for far too long, at the consumer’s and the economy’s expense. No, it’s about the ability to have a viable business model. Number portability and geographic numbers are important, sure, but they are the icing on the cake. Without a sound economic basis, new operators don’t have a chance. The rate was increased to R1.25 in 2001 SPECIFICALLY to exclude a new operator – Cell C. How does Du Toit think that keeping it there will benefit other new operators? If ICASA dropped the interconnection rate to R0.25/minute tomorrow, I wouldn’t expect MTN and Vodacom to do anything other than to go to court. Cell C, Virgin, and a host of new small operators would be able to offer much lower rates, though. With time, that would force those two 900 lb Gorillas to tighten their bulging belts and reduce their prices, too. I think I can smell some self interest here. It is probably true that we should be watching the consumer facing prices to ensure that interconnect rates aren’t being fobbed off to consumers. I just can’t understand this debate when we see Indian interconnect rates being so much lower then the 22/25c that people claim we can handle. Are we still being ripped off when we are at that lower rate? Mr Du Toit criticises Ms De Lille and Mr Holdsworth for “positioning themselves as heroes” and says the “reality is far from what is being spoken about now”. Given this statement I was expecting to read something significant that contradicts their views that bringing down interconnection rates will bring down retail costs of cell phone calls. Instead, Mr Dut Toit offers the rather embarrassing argument that rugby sponsorship and CSI will suffer! He then goes on to suggest that interconnection rates should come down “to a rand” (despite also saying that 80c is a fair price!) and that the rate should decline over time at 5% a year. His argument is contradictory and nonsense. Of course price is the issue for new players – interconnection is a tool to keep competitors out or strangle their market share. Fewer viable competitors allow the big-players to keep their prices high. Whether or not the reduction in retail call costs will come down after interconnection is slashed remains to be seen – but it is the logical starting point. In all the fuss about interconnection rates we lose sight of the objective. Correct me if I am wrong, but ultimately the objective is not to lower interconnection rates, the objective is to lower consumer costs. Sorry to have to bang on this old harp again, but without an empowered & equipped regulator, it doesn’t matter what the interconnection rate is, the teleco giants will find a way to bypass the intended effect of a lower interconnection rate. They will stall by litigation; or someone will claim an unfair or exclusionary process; or they’ll shop around for another body and claim this other body actually has jurisdiction in the matter; they may take the regulator to court (which becomes a game of “who has the most money to throw at lawyers”- guess what, the telcos beat the treasury every time); heck, we’ve even seen telecos blatantly threaten to withdraw services if the regulator persists in implementing consumer-protecting Regulations— and their threats succeed. 3) that is unable to impose any kind of meaningful penalties or sanctions, even in cases where the telco’s transgression is blatant and admitted. It is much cheaper to pay a few million rand fine than to adhere to the law. The kinds of fines ICASA is allowed to impose equate to what the teleco giants earn in a matter of hours. At the end of the day, ICASA is not empowered in any sense of the word to hold the industry they are supposed to regulate, to account. Fact is, the industry is more powerful than the regulator, and the only way this can be resolved is by taking steps to make ICASA more independent, and more empowered, particularly financially. ICASA should not be dependent on the Minister, or the DOC, or parliament for their budget. Parliament needs to grant ICASA the ability to self-fund from the industry it regulates. Unfortunately though, the government of South Africa has never been interested in relinquishing control of the industry and handing it over to a more independent regulator.